What can you do with old emotions? 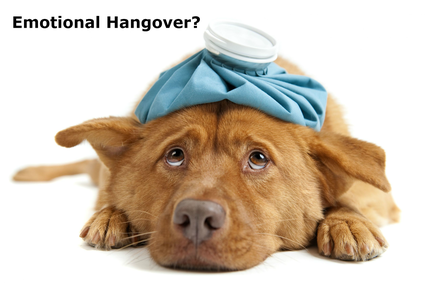 Emotional hangovers – most of us have them but don’t even know it until we try to get something done, only to find something unidentifiable is in our way. Maybe it’s something we’ve witnessed, something that happened in our past or something we inherited genetically, but all these things can impede our emotional, spiritual and physical progress. They leave what Linda Dulicai, Holistic Healer, calls an “electrical signature.” What’s needed is an emotional clearing. An emotional clearing is achieved through the removal of discordant electrical signatures that are imprinted upon us. The evaluation is based in Chinese medicine and uses energy techniques. Regardless of varying beliefs, Dulicai believes the point where spiritual and other views come together in the new field of epigenetics. Dulicai highly recommends reading Power vs. Force by David Hawkins who pioneered a reproducible scale for emotions. Dulicai describes the process as tapping into the electrical field of her clients. “I am working with people who inherited conditions down the genetic line, who have had their own experiences that caused the condition or witnessed something early on in childhood. An inherited experience is something a little less understood by most. Dulicai says an example would be an individual who “had an awful life but died and had no way to process it. What’s left in the genes is a discordant electrical frequency. You can’t find it with a counselor, but that emotion feels familiar, even if it’s not yours. There is a direct connection between spiritual/energetic health and physical health, Dulicai says, but not everyone is ready to face the full scope healing entails. “If you’re in a situation where your emotions are like a hurricane, you can’t keep up with your nutritional needs,” she says. If you’re ready to embark on a spiritual journey towards wellness, contact Linda Dulicai at linda@The-Healthy-Zone.com. A practitioner for more than 40 years, Linda Dulicai is a Certified Natural Health Professional and an Advanced Loomis Digestive Health Specialist educated in more than 25 modalities of wellness. She is CEO of The Healthy Zone.